Think you need to travel far to find hotels with design cred? Colorado’s best accommodations–some brand-new and others refreshed–say think again. Showing the work of Denver-based 4240 Architecture and interiors by DLR Group, the Elizabeth Hotel in Fort Collins is an intriguing combination of masculine and feminine details: A light-filled lobby is adorned with cast-plaster ceiling medallions, filigree embellishments and intricate metalwork, while the on-site Emporium Kitchen and Wine Market and the Magic Rat lounge are anchored by masculine accents of rugged metal and wood. Suites feature themed decor–the Music Suite has its own baby grand piano–and throughout the hotel, 130 original works by local artists celebrate music and Colorado landscapes. This slope-side resort in Snowmass Base Village has been known for cosmopolitan design since it debuted in 2009, with interiors by Jean-Michel Gathy and Kelly Wearstler. 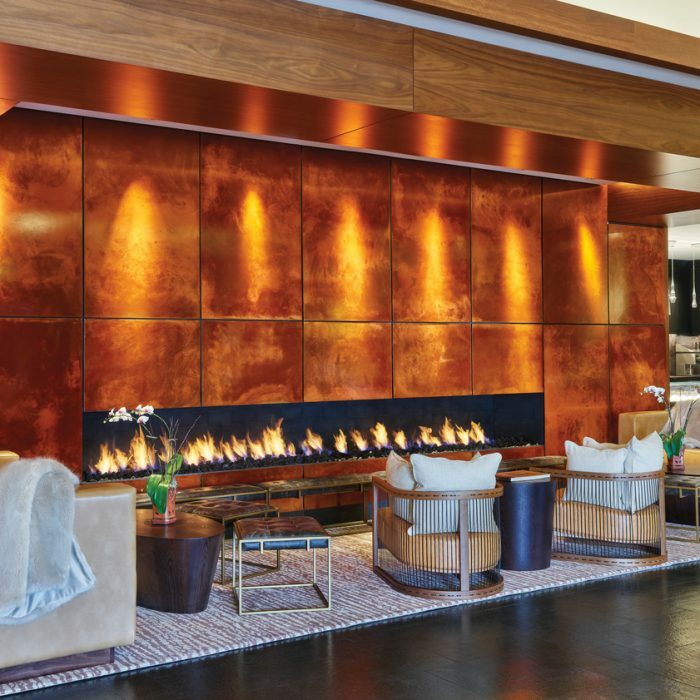 Now, after phase one of the renovation, the property has been “re-chiced” with the addition of a fitness center, cafe, yoga studio and redesigned lobby featuring sophisticated modern furnishings that cozy up to a long, linear fireplace. The next phase of renovations wraps up this summer, adding a new outdoor pool area and bike-and-hike-in/out bar to the mix. The competition is stiff within Denver’s exploding hotel scene, but the city’s original boutique hotel is keeping pace. 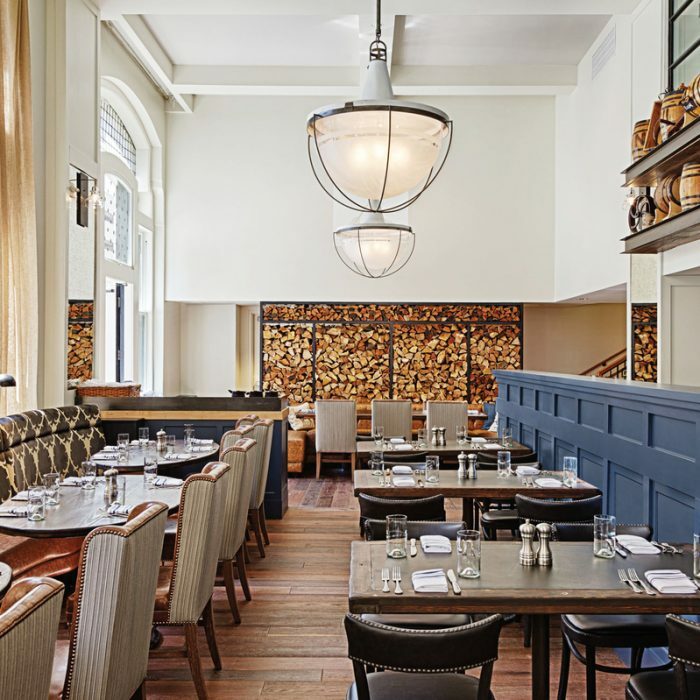 A 2014 redesign by Telluride-based Studio Frank preserved the 1911 Renaissance Revival-style building’s original architectural details while adding rustic yet contemporary touches to the lobby, The Study lounge and The Nickel restaurant. Earlier this year, Parker-Torres Design updated all 110 guest rooms in a $2.5-million renovation that included custom hardwood furniture, gray fleece wallcoverings and contemporary artwork. Book the 1,400-square-foot Chancellor’s Suite and cozy up to the parlor’s original limestone fireplace–or take in the bustling scene at the Denver Center for the Performing Arts, located just across the street. 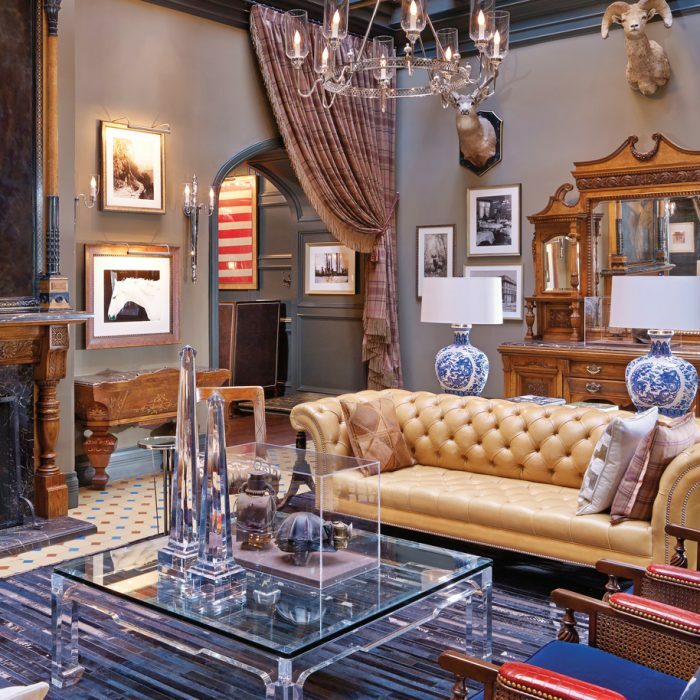 In 2012, Rowland+Broughton and Las Vegas-based TAL Studio turned heads when they transformed this downtown Aspen icon into a design-savvy destination, where Le Corbusier chairs and Streamline Moderne-style light fixtures mix with encaustic-tile floors and a Chippendale chinoiserie bar. This summer, the dream team completed another renovation of the hotel, this time incorporating the 114-year-old Aspen Times building. Look for new event space, a redesigned pool and terrace, the underground Bad Harriet bar and lounge and upgraded suites–each on a private floor and with balcony views of Aspen Mountain.